This past week, Houston hosted several major players in both the anti- and pro- evolution camps. The Texas Home School coalition had their annual convention on Aug 1-3, and unfortunately chose to invite Ken Ham as a keynote speaker. Ham has a long history of anti-science, anti-evolution advocacy, including recently criticizing Bill Gates’ “Big History” curriculum for teaching evolution. In response to Ham’s presence at the convention, several groups, including Houston Atheists, Humanists of Houston and Houston Oasis, organized an “Answers in Science” educational event at the Houston Museum of Natural History. As I understand it, the idea was originally to provide Ham with an opportunity to debate Dr. PZ Myers, a biology professor from University of Minnesota who is a tireless advocate of science education (if you’re not familiar with his blog Pharyngula, go read it immediately!). Evolutionary biologists seldom waste time directly debating creationists, because it tends to be completely unproductive, so Ham should really have jumped at this chance. Mysteriously, he turned down the challenge and so the event was changed to a public lecture. Amusingly, Houston creationist Dr. David Shormann was extremely irritated by the event and had a lot to say on the subject in his blog. This is one case where I *will* encourage you to read the comments section, because it provides a fascinating glimpse into the thought processes of creationists. Here’s Dr. Myers’ response to Dr. Shormann’s screed. Risking Dr. Shormann’s displeasure, my boyfriend and I drove to Houston on Sunday. We went to several of the lectures, including an excellent discussion by Kathy Miller on how science deniers are pushing to influence the Texas state board’s decision on textbook adoption. I realize that most people who read this probably don’t live in Texas, but if you follow the ongoing battle to get creationism/intelligent design concepts inserted into public school science curricula, you need to pay attention to what happens here. Because of its size, Texas has tremendous influence on textbook publishing for the entire country. It has long been a strategy of creationists to control the board that makes the decisions regarding which textbooks can be adopted by the school system. And because 2013 is the year Texas is slated to purchase new textbooks, it’s a new opportunity for anti-evolution advocates to influence the process. There are really good articles on the subject here and here if you want to learn more about the current state of Texas textbook adoption. 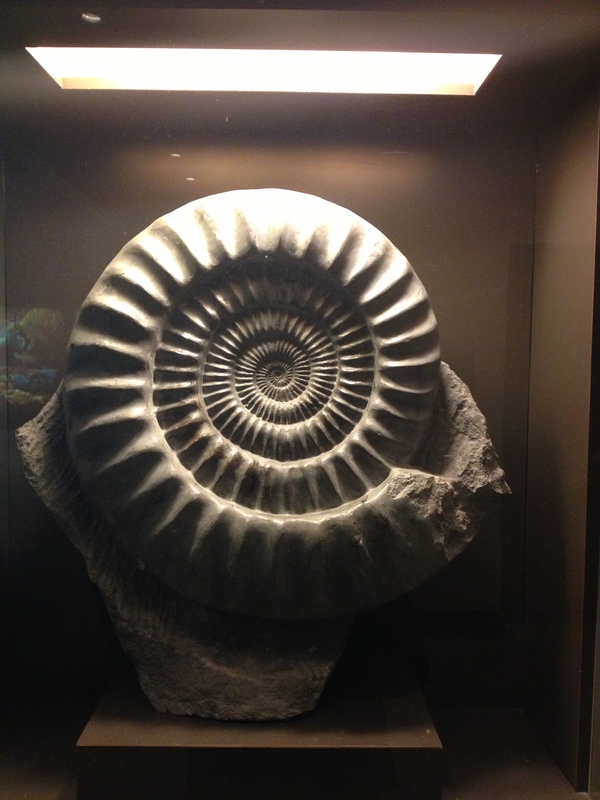 Since several of the subsequent talks were on the basics of geology and evolutionary theory (subjects we’re very familiar with), we snuck out for a bit to enjoy the museum. 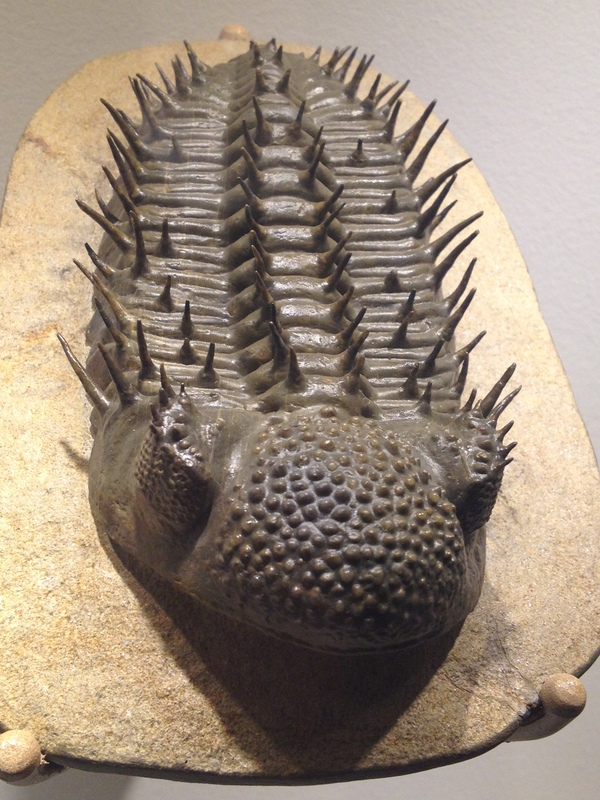 Many thanks to @allelbows and @ekc for their recommendation–the Houston Museum of Natural History is really wonderful, particularly the spectacular trilobite fossil collection! We made it back in time to hear PZ Myers speak on the “evolution of creationism.” Dr. Myers noted that early attempts to determine the age of the earth, such as Ussher’s chronology were actually not unreasonable approaches given the amount of information available to scholars at the time. 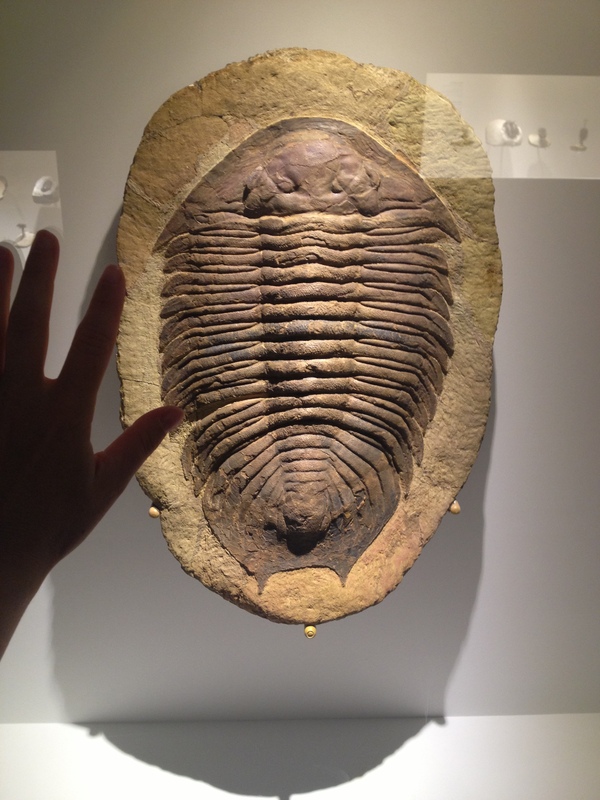 As more geological and fossil data emerged, attempts to reconcile a Biblical understanding of the origins of life (i.e. the “gap theory”) still acknowledged the importance of scientific data, and the need to reconcile Biblical narratives with it. Modern-day young earth creationism, which rejects scientific evidence in favor of Biblical literalism, can be traced to the prophetic visions of Ellen White, who claimed that she witnessed the creation of the earth in a vision, which corresponded exactly to the Genesis story. White, her successor George McCready Price, and the Seventh-Day Adventists were marginalized in American society, but their ideas were eventually co-opted into Whitcomb and Morris’ book “The Genesis Flood”, which asserted the primacy of the Bible over geological and biological data, forming the foundation of modern creationist ideas. Dr. Myers also discussed the false assertion of creationists that science can be divided into two approaches (“observational” and “historical”), which is something I’ll write about another time (this post is too long already!). He was a terrific speaker, and I highly recommend that you try to attend one of his talks if you can. I’m extremely happy that Ken Ham’s visit became the catalyst for such a wonderful educational event. Pro-science Texans are tough and impressive, and I’m going to do my best to help contribute to their ongoing efforts. If you’d like more information, I strongly urge you to check out the Texas Freedom Network here. Very informative. What a battle, especially from where I sit in New Jersey. Good point about the politics of school text selection and its resting with state boards in the biggest states. I’m familiar with that in the field of English and the incredible nit-picking over drafts of new editions that publishers have to decide what to do about. It’s difficult to tell what students and the general public really think of such issues as evolution when the school books are so narrowly controlled. A recent Pew survey shows an increasing number of people responding “uncertain” about evolution vs creationism and fewer taking one side or the other. Thanks for the comment! Having just moved here from Chicago, I’m in a bit of culture shock about many things, but especially the political influence on educational standards. I think the uncertainty about evolution may also stem from the fact that it’s a very complex topic, and we need to think hard about how to teach it more effectively. But we can’t improve much if we’re fighting to simply get it taught at all! I hope You have not inconvenienced you with my simple list of questions. I am so limited in my scientific background that my questions may be too elementary to warrant your response. I am sorry if you are offended by my lack of scientific understanding. Not at all! It may take a little while because it will require an extensive response to do justice to the topic (and my own work must take priority), but they are good questions, and I will do my best to answer them. Thank you. Hi Jennifer – great posting! 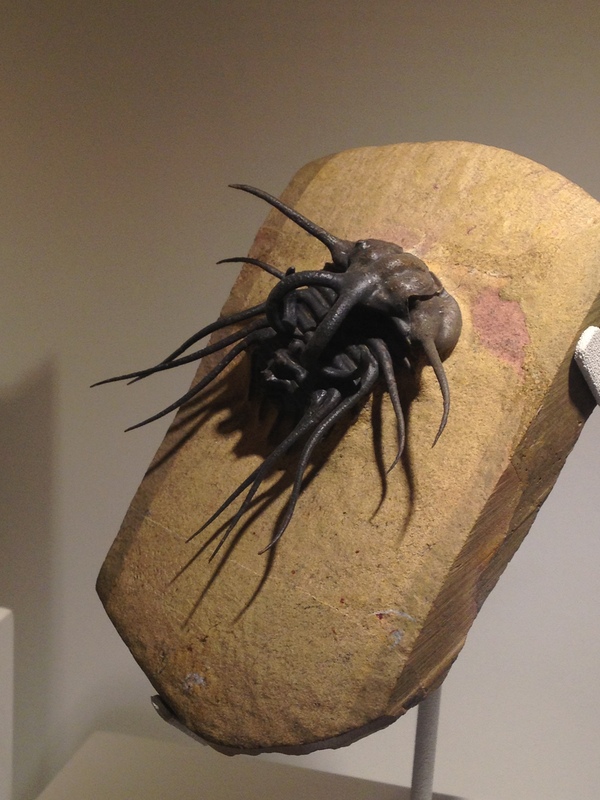 And love the trilobites; have you read Richard Fortey’s book about them? Well worth checking out. I can’t speak of creationists, but every time I’ve witnessed a Darwinist debating an I.D. proponent, the I.D. proponent has been overwhelmingly superior. So, while I’d like to believe your claim, the more logical explanation is that Darwinists don’t often debate because they know they’ll not only lose, but lose badly. i.D. proponents have the stronger arguments, and I suspect this is because they’re arguing from a position of truth, whereas, Darwinists are arguing from a position of 19th-century ignorance. “Darwinists are arguing from a position of 19th-century ignorance” is one of the most ludicrous statements I’ve ever read. I assume you’re not being serious in suggesting that we’ve not accumulated huge amounts of data since the 1800s that support Darwin’s ideas? It’s telling that you’ve not bothered to read my account: clearly you have all the answers and don’t need to explore further. But the fact that you choose to post anonymously suggests you don’t have the courage of your convictions. Or are simply trolling. You’re a very dishonest young lady, Jennifer. Shame on you for lying to your viewers. Your condescension amuses me. What did I lie about?